We know that the process of applying to Ph.D programs, along with many other aspects of the STEM Ph.D experience, can often seem mysterious. 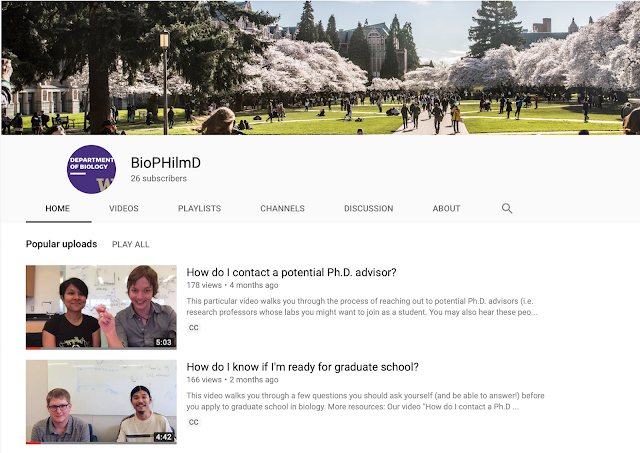 So a group of UW Biodept students have been working hard since the beginning of the year to create a series of videos and this week, a free web-streamed Q&A designed to demystify this process. We especially hope these resources will be helpful for potential students from traditionally underrepresented backgrounds, first-generation students, and students with disabilities, but they are intended for ANYONE interested in pursuing a graduate degree in Biology, in our program, or anywhere else. Introducing our first-year grad students! Read on to learn our 2018 cohort. Alex is joining the Strömberg lab and is interested in bettering our ability to extract ecological information from fossil plant remains and the sediments which encase them. He is coming from Greenwood’s Paleobotany lab in Manitoba, Canada, where he completed a masters involving ancient plant community ecology. 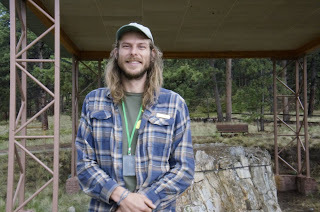 He has a Bachelor's degree from the University of Utah, having worked in the SPATIAL geochemistry lab and in Paleontology Collections at the Natural History Museum of Utah. He is really excited about the new Burke Museum, and not living in the flat prairies anymore and playing in the mountains.